All Whitewater homes currently listed for sale in Whitewater as of 04/25/2019 are shown below. You can change the search criteria at any time by pressing the 'Change Search' button below. "For those who enjoy peace & quiet at home, but love excitement & night life. This desert home is your dream come true. Minutes to Palm Springs, Morongo Casino, golf, or outlet stores. Your own private Cul De Sac surrounded by hills, views, canyons & mts. The house is enclosed w/block wall & ornate security gates & surveillance sys. Enter thru the porch or drive into over sized 3 car det gar w/own 3/4 bath & flat roof top patio. Bkyd provides tranquil patio & Japanese Garden, hill is cov'd/many diff fruit trees. South yd you'll find built in bbq, refrig, concrete/tile tables, water fountain & view. North yd yields more fruit & nut trees, Hawaiian hut, bbq smoker, gym, dog run, 3 storage units, encl veg. garden. Interior affords granite counters & flrs, carpet looks like new. Beautiful bark faced mantle. Master bath has claw foot bathtub. One room used as office." "BRAND NEW HOME!!! 4 bed, 2 bath home, features open concept kitchen with island, quartz counter tops, soft closing cabinets and drawers, fireplace, indoor laundry, tile throughout except bedrooms. Energy efficient home with tankless water heater & LED lighting. Home is still under construction with an estimated completion by 05/15/2019. SELLER FINANCING AVAILABLE with 25% down 7.5% fully Amortized 40 years!!!! Geat opportunity to own for those that do not qualify for traditional financing. 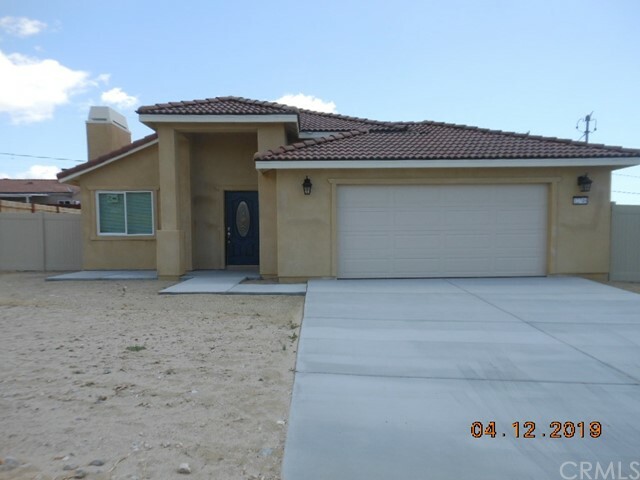 More New homes available in Banning, Cabazon, and Whitewater." "Beautiful 3 bedroom 2 bath home located in Whitewater. Granite counter tops, Double oven, two drawer dish washer. Formal dining room and breakfast nook in kitchen. Large walk-in pantry leads into laundry room with utility sink and built in cabinets. Master bedroom as walk in closet. Master bathroom has double sinks, Tile shower with glass door, separate bath tub. Garage has additional storage/workshop that leads out into backyard. Large backyard with double gates for RV/ boat access." "Beautiful mountain views and fresh air surrounds you in this elegant BRAND NEW 4 bedroom and 2 bath home. Latest architectural styling and features give this home great curb appeal and functionality. Add to that many lavish appointments that include generous storage space/extensive cabinetry, quartz counter tops, fireplace, interior laundry space, fire sprinklers, tiled floors, LED lighting and tankless water heater. There is still time to select carpet colors for the bedrooms. 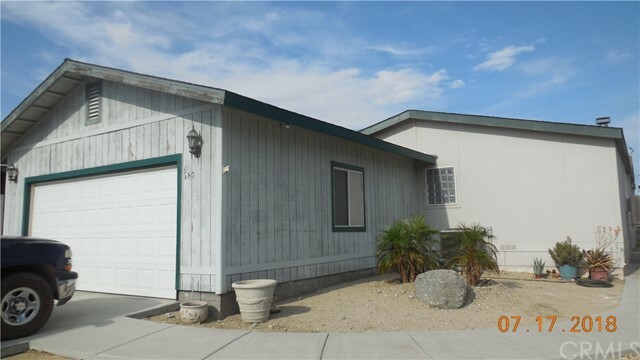 This fully fenced home is located within minutes of the Cabazon Outlet Mall and Morongo Casino. The house is still under construction. 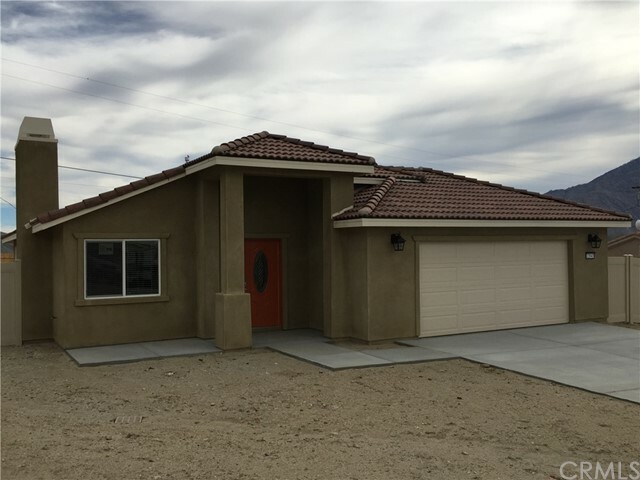 Expected completion date is February 15, 2019"
"Beautiful mountain views and fresh air surrounds you in this elegant BRA ND NEW 4 bedroom and 2 bath home. Latest architectural styling and features give this home great curb appeal and functionality, and add to that lavish appointments such as generous storage space with extensive cabinetry, latest style of granite/quartz counter tops, fireplace, interior laundry space, tiled floors throughout the house except the bedrooms. For your safety and comfort, the house has the fire sprinkler system and central heating and air-conditioning. To reduce the energy costs, the house is equipped with dual-pane windows and tankless water heater. Other features: 5-burner stove, built-in microwave, kitchen island, LED recessed lights, quartz/granite counter tops and self-closing cabinets. The house is also fully fenced with vinyl/wooden fence. There is still time for the new buyer to select carpet colors. Located within minutes driving to Cabazon Premium Outlet, Morongo Casino/Resort and Preserve & Cabazon Dinosours." "Wonderful Home Built, 2005, 4 Bedroom, 2 Full Bathroom, 1805 Sq. Ft, Huge Lot Close to 10,000 Sq. 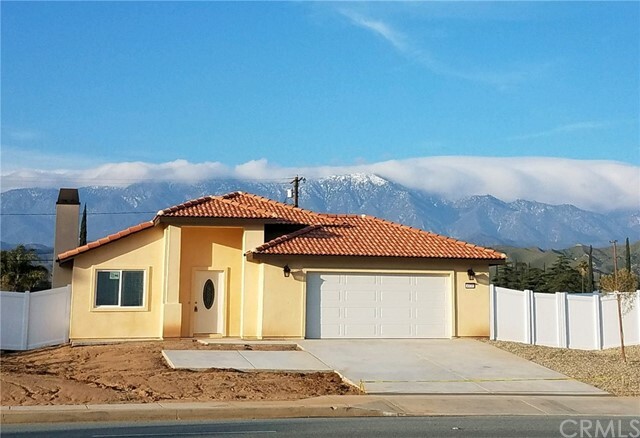 Ft. Open Floor Plan, With lots of Upgrades and Truly Turnkey, 2 Car Garage This Property is Located in Whitewater, With Gorgeous Mountains View, and a Few Minutes from Casino Morongo, Cabazon Outlets Mall and Palm Springs." "Great opportunity to own a large property in White Water. This 4 bed 3 bath house has 1944 square feet of living space. The outside patio is west facing, giving protection from the wind. Bedrooms are carpeted and the rest of the living space is tiled. Chain link fence surrounds the property and the back patio is covered." "NEWLY RENOVATED WITH TURNKEY CONDITIONS. NEW KITCHEN AND MASTER BATHROOM GRANITE COUNTERTOP, SINK AND FAUCET. NEW FLOORING AND PAINT THOUGHOUT." "THIS IS A NEWER HOME BUILT IN 2006, IT HAS 4 BEDROOMS, 2 BATHROOMS, LIVING ROOM WITH NICE FIRE PLACE, GOOD SIZE KITCHEN WITH GRANITE COUNTER TOP, ISLAND, DISHWASHER, GARBAGE DISPOSER AND PLENTY OF CABINETS. IT HAS 3 CAR GAGAGE. IT HAS TILES THROUGH OUT THE HOUSE, TILE-ROOF. IT IS PRICED TO SELL FAST." "This well maintained, freshly landscaped home offers fantastic views of the mountains, a detached 2 car garage or large workshop and plenty of land to build another structure. 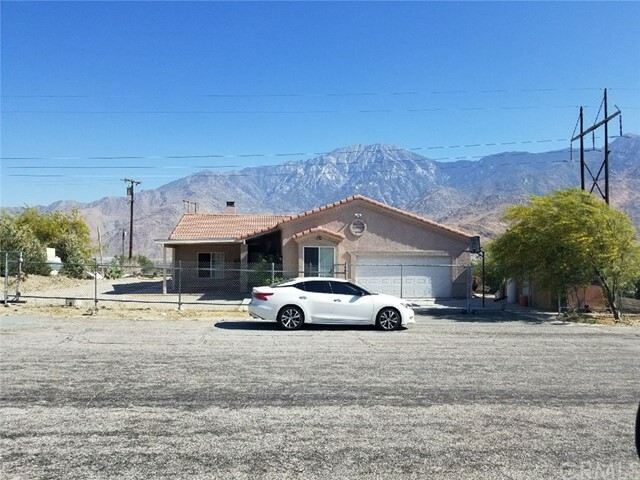 Just minutes away from Palm Springs, the fully-fenced retreat affords the owner numerous opportunities for development or just peaceful living. The front hedge offers terrific privacy too!" "!!!!!! PRICE REDUCED !!!!!! 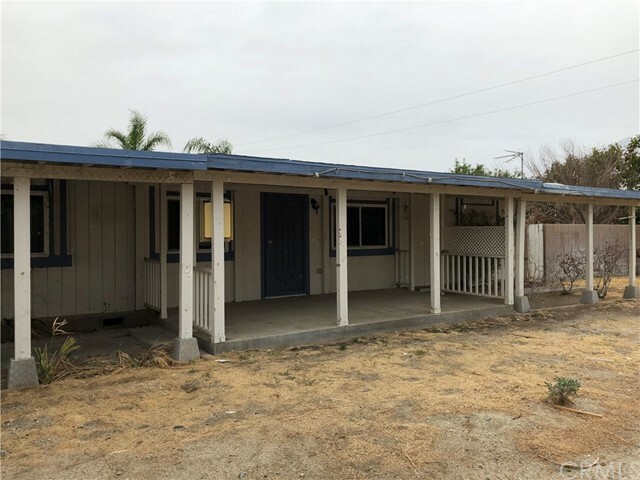 Great For First Time Buyers , Well Maintained Manufactured Home In Permanent Foundation , 3 Bedroom , 2 Bathroom and Huge Den with Book Shelf in Walls , Built 2005. 1920 Sq, Ft, Open Floor Plan New Carpet , Vinyl and Paint Inside and Outside , Nice Living Room With Wood Fireplace . Dining Room, and Breakfast Room, Laundry Room, Big Master Bedroom with Garden Bath Tab And Separated Shower , With Walk-in Closet. 2 Car Garage, Gorgeous Mountain View . 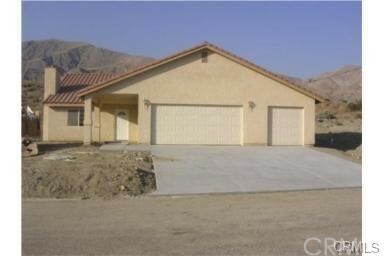 This Property is Located Close to Casino Morongo, Cabazon Outlets Mall and Few Minutes from Palm Springs, !!!!! Do Not Miss !!!!!!" 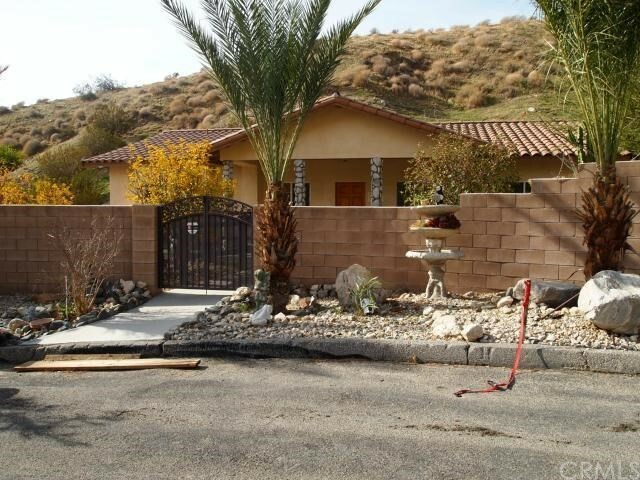 "The opportunity to own a piece of an oasis located inside Whitewater Canyon is here. This permanently set manufactured home, featuring 3 beds and 2 baths is placed by a natural river traveling down from Mount San Gorgonio. Close enough to enjoy all the desert and Coachella Valley has to offer, but far enough to retreat into your own private canyon oasis." "Single story manufactured home located on a large corner lot. 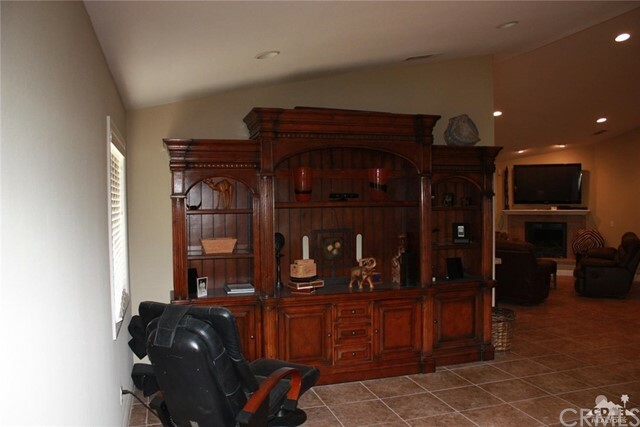 Home features covered driveway, two car attached garage, vaulted ceilings, ceiling fan. enclosed back yard with covered patio. 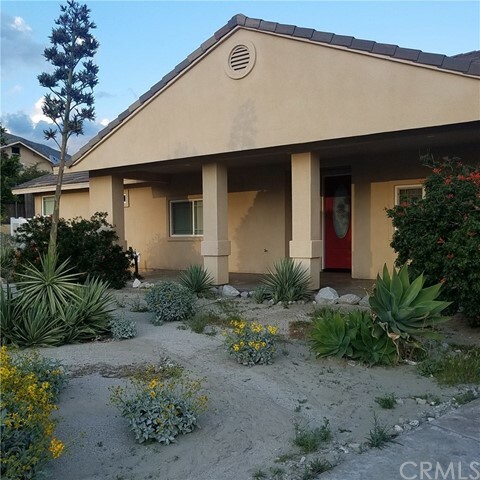 Located near Pacific Crest Trail, easy freeway access and just minutes away from Cabazon and Morongo Casino."